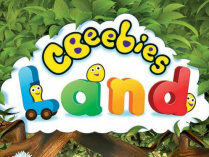 Alton Towers have announced today that Old MacDonald's Farmyard will be transformed into CBeebies Land for the 2014 season. The area, which has been farm-themed for 25 years, is due to undergo the refresh after a deal with BBC Worldwide was struck for the rights to use the CBeebies name. However, we do not yet know which CBeebies characters will be used in the new area. Planning permission was submitted in September and work was already under way at the beginning of October on Riverbank Eye Spy and Berry Bish Bash. It should be noted that there will be no new rides, with existing ones being re-themed rather than removed. However, There's Something in the Dung Heap, the long-unused Ice Dome, and Old MacDonald's Singing Barn will be removed and replaced with a new shop, green space, toilets and a performance and activities area. Furthermore, we do not yet know what this re-theme means for the animals that currently reside in the Farmyard, or if the re-theme will extend to the neighbouring areas of Storybook Land and Adventure Land. Other theme parks in the UK have proved how children's television tie-ins can be successful, with Nickelodeon Land at Blackpool Pleasure Beach, Thomas Land at Drayton Manor and Peppa Pig World at Paulton's Park being fine examples of this. We look forward to seeing how this area of Alton Towers develops with such a well-known children's brand to work with.